The other day I was out at the bar and saw a girl approach my man in what clearly was an attempt to hit on him. I can't hate her for it cuz in my opinion he's truly everyones girl crush and while I trust if she tried to make a move he would give her the heisman, I would prefer to take a preventative approach. Anyway, I decided to buy him a phone case with a photo of us on it so that whenever a girl sees him at the bar and he's on his phone, she will see the photo of us and be like "omg he has a gf deff not going to approach him now cuz I respect her and him and the love they have". This is clearly the only solution until someone invents bug spray that acts as a repellant to any single blonde girl between the ages of 21 - 29 but until then, the phone case must suffice. 3. Choose an image they have on their site (such cute options!) OR upload your own image (IE: A photo of you living your best life, a photo of your cat, etc.) But deff check out the options they have available already. You can add as many as you'd like! 4. Add some fun text to it! (For my laptop skin, I choose to add the coordinates of my favorite place on earth (Bryce Canyon, UT.) It looked super cool under the "Phases of the Moon" image that CaseApp already had as a selection on the site! 5. 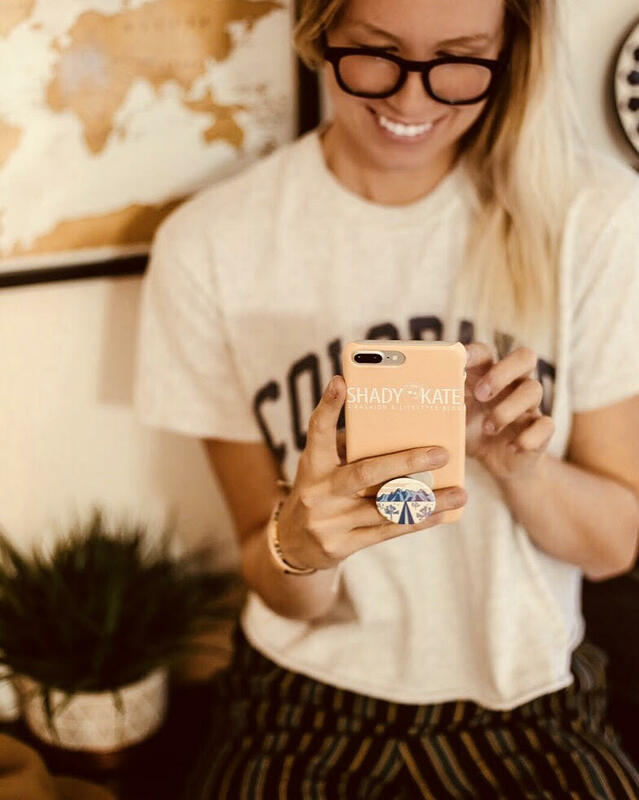 Order with the discount code SHADYKATE20 and receive 20% off your custom case/skin/pop socket and have it sent within a week from CaseApp! A FASHION & LIFESTYLE BLOG FOR ALL THE BETCHES WHO PREFER THEIR VIEW OF LIFE THROUGH THE LENSES OF A TRENDY PAIR OF SHADES. Sign up with your email address to receive news and updates from ShadyKate.com. We're excited to have you!